The occurrence of all or some of the following symptoms during the week before the menstrual flow; lumbar and low abdominal pain, nervous irritability, migraine, emotional changes, cramps, backache, fatigue, tenderness of the breasts and pelvic congestion; also known as premenstrual tension (PMT). Persons most commonly affected: PMS is estimated to affect 70% to 90% of women during their childbearing years. The incidence is higher in women between their late 20?s and early 40\'s, those with at least one child, those with a family history of a major depression disorder, or women with a past medical history of either postpartum depression or an affective mood disorder. Organ or part of body involved: Female reproductive system. Symptoms and indications: Common behavioral symptoms of PMS include nervousness, mood swings, insomnia, lethargy, and irritability. Physical symptoms include abdominal bloating, breast tenderness or swelling, headaches, backaches, appetite changes, and weight gain. These usually begin five to ten days before menstruation and disappear within a few hours after the onset of menstruation. Causes and risk factors: Many researches believe that PMS is caused by fluctuations in the production of female hormones during the menstrual cycle. Hormonal changes influence the amounts of salt and fluid retained in the body, especially during the week before the periods begins. Neither the exact cause for this retention nor the reason for its effect on certain women is understood. Poor diet and nutritional deficiencies can be root problems of PMS as well. In addition, PMS can be caused or aggravated by food allergies, seasonal affective disorder, stress, and depression. Prevention: A diet that is high in meat, fat, sugar, and salt will make hormones fluctuate out of control and will intensify the symptoms of PMS. It has been shown that vegetarian women have much less circulating free estrogen in their blood than non-vegetarian women do. A good, wholesome diet can significantly reduce or even eliminate problems altogether. Vegetables, fruits, whole grains, legumes, herbs, nut, and seeds should be plentiful in the diet. Fermented soy products, such as tofu, tempeh, and miso, can also help prevent PMS, due to their hormone-balancing phytonutrients. 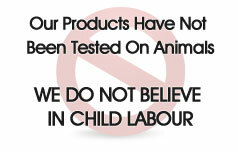 Make sure your animal products (meal, poultry, etc.) are hormone free. Eat at least two servings of green leafy vegetables every day. They are good source of calcium, which supports and calms the nervous system, and they also have a diuretic effect. A diet that is low in saturated fat (the type found in red meat and dairy products) helps reduce excess estrogen levels. It is also important to avoid harmful fats, such as trans-fatty acids, which occur in margarine and partially hydrogenated oils. Restrict caffeine-containing products, such as coffee, soft drinks, chocolate, and some pain relievers. Caffeine worsens PMS symptoms, such as anxiety, depression, and breast tenderness. Alcohol has a dehydrating effect, which only makes PMS symptoms worse. It also wreaks havoc on your blood-sugar levels. Avoid it during the two weeks before your periods. A daily half-hour walk, even on days when you feel at your worst, can do wonders to both reduce reduce symptoms and prevent them in the first place.